Digital India initiatives and a general incline of the government, businesses and the people towards online finance has contributed to the digital transformation of India. Amidst all this activity, P2P lending has emerged as one of the best means of alternate finance for personal loan seekers. 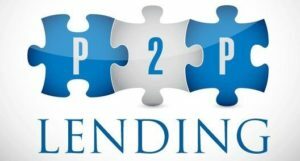 The reasons behind the success of P2P lending are multiple as it offers lucrative benefits for both the lender and the borrower. Monexo is a Hong Kong based P2P lending startup. The company was founded by Mukesh Bubna, Sonali Bengani and M. Sundar in July 2014. A brainchild of Mukesh Bubna, Monexo was a result of his extensive knowledge of banking and finance after working in the industry for most part of his professional life. Monexo focusses on the three Ds, namely Digitisation, Data-driven Decisions and Democratisation to bring together lenders and borrowers. Lending and borrowing with Monexo is done through an online only process. The platform emphasises on eliminating unnecessary processes and checks from the whole lending process. 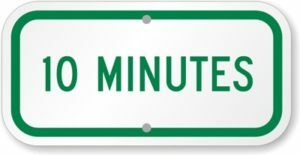 A borrower can simply create a free account and start his/her loan application which hardly takes 10-minutes. A lender can easily understand the terms at which his money will be made available to a borrower and the percentage he can earn in the process. A lender is free to choose the person to whom he/she wants to lend the money. Monexo has created a system where suitable checks and balances have been put in place to ensure that the platform is not exploited by money launderers. The customer who is lending money is required to submit digital KYC documents and bank statements to ensure that the funds come from a visible entity. Similarly, borrowers are required to pass digital KYC, AML and Credit Scores checks before they can receive funds. Monexo also provides loans for first time loan applications by using its own credit scoring. Customers get rated from M1 to M8, wherein M1 represents the highest rating. An M1 customer can get a loan at interest rate as low as 13%. When a person becomes a P2P lender with Monexo, their money is handled through a secure system, which only releases funds after a comprehensive due diligence procedure. P2P loans do not include any fancy terms and policies, they are simple loans which have been modernised by Monexo through a platform that links lenders to borrowers. P2P loans are a great way to diversify your financial portfolio beyond investment in stocks and bonds. You can also fractionalise the amount you lend on the platform among multiple borrowers, hence further reducing the risk factor. Finally, P2P investments earn you a very healthy return which is always better than letting your money sit idle in a bank’s savings account. Where a traditional banking institute takes days or weeks to process a simple loan application, Monexo P2P lending marketplace offers same-day loan approvals upon KYC verification. Since, the process is completely online there is no paperwork for a borrower to sign or post, therefore the loan approvals are significantly quicker. P2P marketplace also allows you to borrow anonymously as the personal details of a borrower are never shared on the portal. Furthermore, there are no prepayment fees and hidden charges which are being levied by many traditional lenders and NBFCs. Monexo P2P marketplace is a 24×7 platform where a person can post their borrowing needs anytime, from anywhere. Which means quick personal loans are no longer a pipe dream, simply login and apply for a loan. Today, India’s consumer debt is only 10% of the GDP, which means there is a huge potential for growth in P2P lending. A factor which supports this conclusion is the youth population of the country, which is expected to borrow more for achieving their dreams and goals. Also, SMEs are also turning towards means of alternate finance and the digitisation of Indian financial sector will further streamline commercial P2P lending. P2P lending can become the third pillar of finance after banking and Non-Banking Financial Companies, and Monexo is all set for the coming challenges.